The food and beverage industry is operating at the mercy of the changing tastes and preferences of the consumer. Regardless of whether you are someone who simply loves food, or someone who is keen on venturing into the F&B industry, or are already working in the F&B industry, it is good for you to stay in the loop and keep up with the changing times and trends. For instance, as today’s consumers are becoming more health-conscious, there has been a proliferation of ‘clean eating’ joints serving salads, cold-pressed juices, or gluten-free food in Singapore. For foodpreneurs, staying on top of the evolving trends in the industry will help your business circumvent any problems involved with unexpected market shifts. Rather than allowing fear of change and uncertainty to drive your company’s decisions, you need to use these shifts in consumer values as an exciting opportunity to rejuvenate your business. 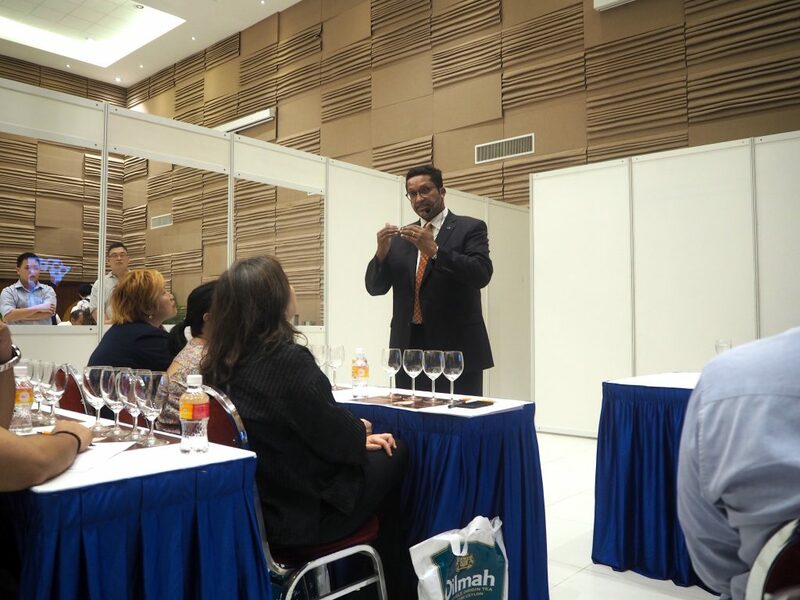 Attending industry masterclasses is an avenue to gain some insight and useful knowledge in the F&B sector. Many people are unsure what a Masterclass is compared to a regular weekly class. The difference is this: A Masterclass is taught by a master of a particular discipline, and these classes are generally one-off special events. As the instructor teaching will have a lot of knowledge and experience, you can be assured that there is always something new to learn and experience regardless of whether you’re a beginner or a seasoned professional. 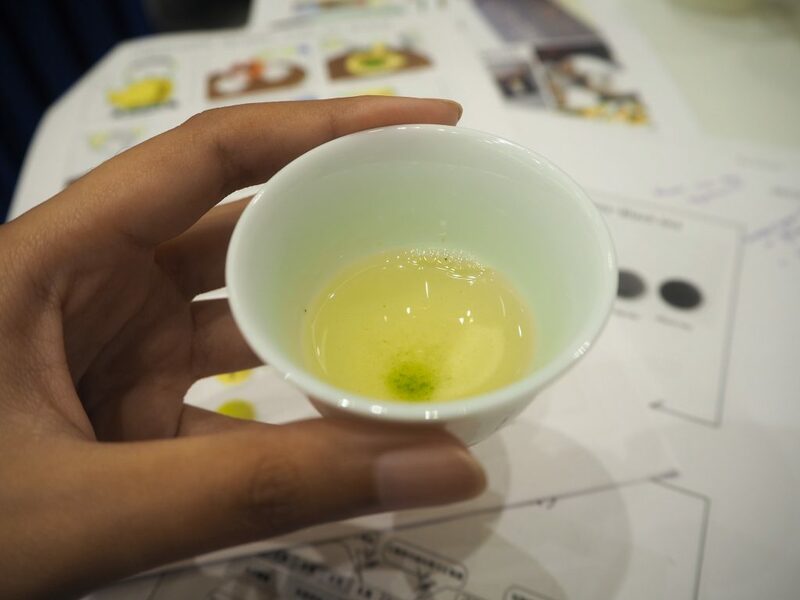 I recently had the chance to attend Japanese green tea and Dilmah Pure Ceylon tea masterclasses as part of the Taste of East Asia (TEA) Masterclass organised by the Employment and Employability Institute (e2i), held on 25 and 26 May 2017. 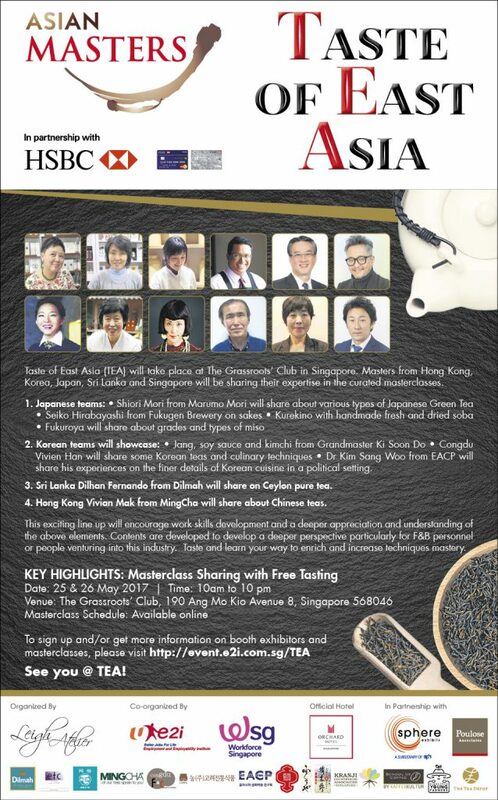 The Masterclasses are curated and recognised in their own respective field for their expertise so attendees could learn from Ms Shiori Mori from Marumo Mori Co., Ltd teaching the Japanese green tea class; and Mr Dilhan C. Fernando, the son of Dilmah’s founder and also the director of Dilmah Tea, teaching the Dilmah Pure Ceylon tea class. As a tea lover, I was definitely psyched to attend the hour-long classes and learn from the experts! Ms Mori hails from Japan (can’t get more authentic than that) and the class is conducted in Japanese, but she had a translator by her side to facilitate comprehension and interaction. The art of Japanese green tea is very delicate – the tea leaves, amount of hot water, temperature and waiting time all play a critical role in the colour and taste of the tea. 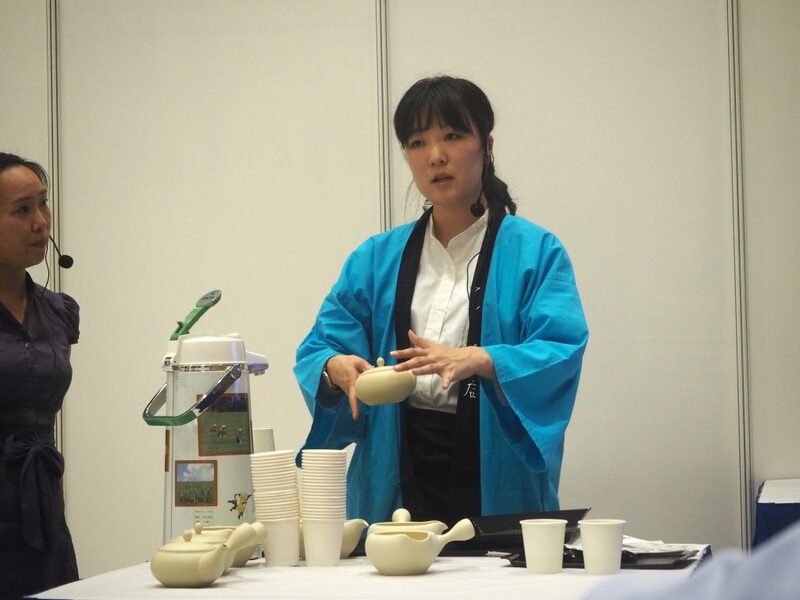 Ms Mori emphasised that controlling the temperature is key as it actually determines the taste of the tea. She added that green tea is made to be enjoyed in a maximum of three rounds, with varying levels of hotness each round so it produces a different flavour. The most important elements which create the taste and aroma of Japanese green tea are catechin, theanine (amino acid), and caffeine. Catechin gives a refreshing aroma with an astringent taste, theanine gives a mellow aroma with sweet taste, while caffeine gives a mild bitter taste. According to Ms Mori, the Japanese go by a “Golden Drop” rule when brewing tea. This “Golden Drop” refers to the last drop from the teapot and it has a lot of amino acid, which brings out the best in Japanese green tea – it has the richest flavour and is thus the most prized. I also had the chance to taste the gyokuro tea – the highest grade of green tea, which is also the most expensive in Japan. Ms Mori explained that gyokuro tea leaves are a shade grown tea, meaning it is fully covered from the sun (for 3 weeks specifically). This shading helps eliminate the astringency and gives the tea a strong vegetal sweetness. 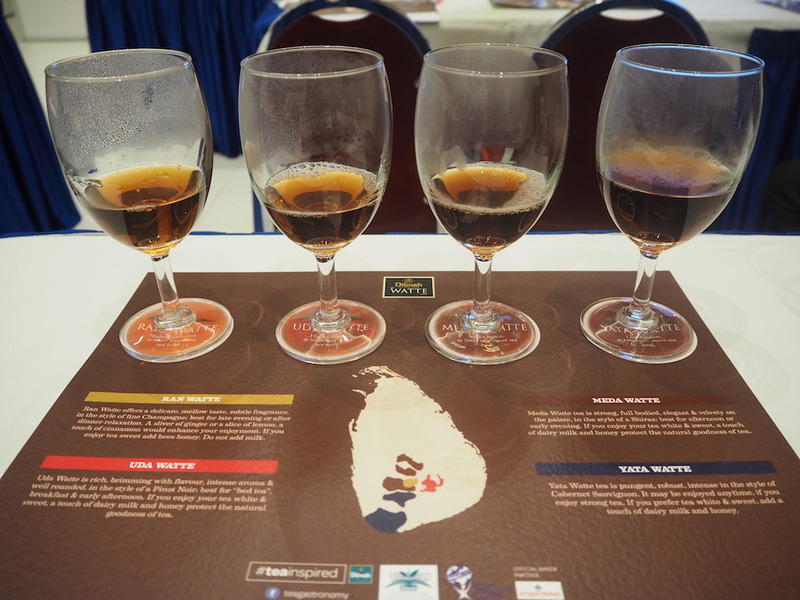 For the next Dilmah Pure Ceylon tea masterclass conducted by Mr Dilhan C. Fernando, I had the chance to taste even more varieties of fine tea. According to Mr Fernando, Ceylon teas have a base of black tea which is the most intense as it is fully fermented. He presented to us four different types of tea – Ran Watte, Uda Watte, Meda Watte, and Yata Watte – based on the elevation levels which the tea plants were grown at. 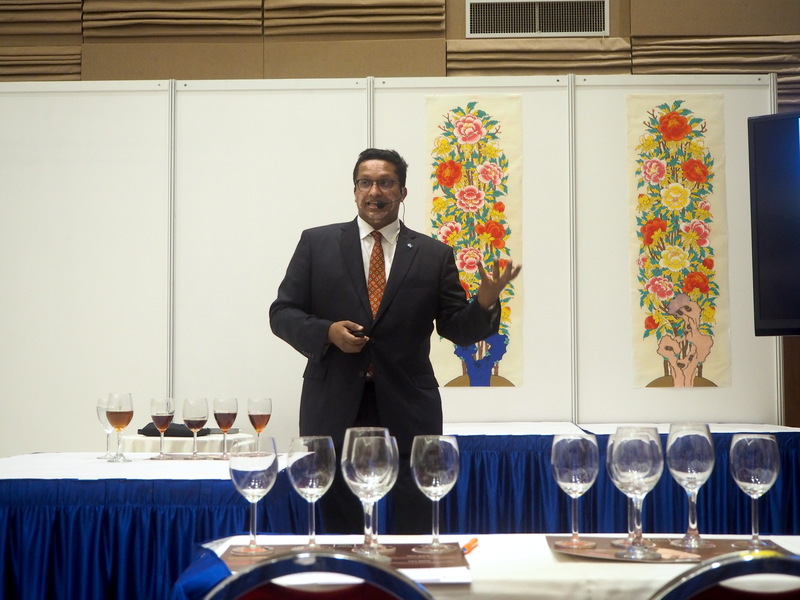 “Topology such as sunshine, temperature, rainfall, windfall and humidity, all play a huge factor in the taste of the tea,” he explained. He also shared complementary and contrasting pairings for these teas. For instance, Yata Watte, which is low grown at 1,000 feet above sea level, is fantastic with steaks and burgers as it helps to emulsify fats. Mr Fernando noted that sipping and slurping the tea apparently makes a world of difference in the taste of the tea. The latter can make you fully taste the “character” and notes of the tea. 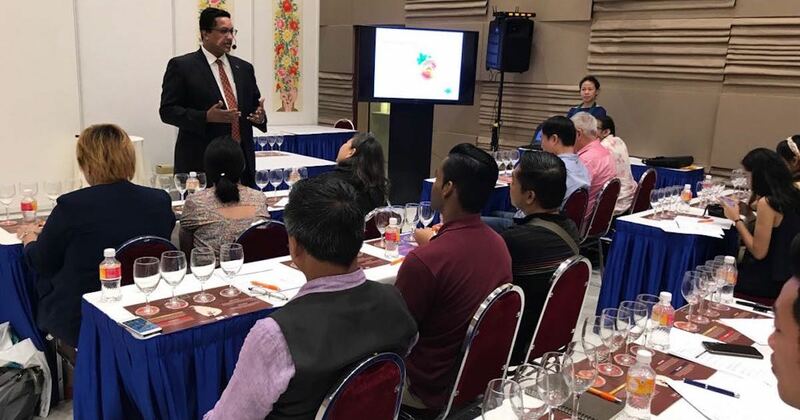 Chong Yong Wei from Unlisted Collection – an umbrella brand that comprises boutique hotels and restaurants – participated in the two Masterclasses together with his colleagues, and commented that they are very relevant to their line of work. Unlisted Collection helms various F&B joints, including delis, bars, and fine-dining restaurants. Each joint serves different specialties and beverages, but most of them carry tea in their menu. “These classes help me to develop a deeper appreciation of teas and learn about the proper way of brewing and drinking it. As I sampled the different types of tea, I also noted the differences in the colour, taste and aroma – these are things I would typically overlook. But now I’ve learnt to really savour tea,” said Chong. Bunjongmai Pattharaporn, a 23-year-old student who attended the class, said that the Masterclass is like a “crash course”, condensed to highlight only important tips and lessons so it was very informative and “on point”. To date, she has worked at several F&B establishments – this includes being a server at Japanese and French restaurants, a barista at a cafe, and now at Artisanal Boulangerie Co.
She is planning to delve into the hotel industry soon, and she feels that being equipped with all these food knowledge and experience will help her gain a competitive edge. Needless to say, the event also granted attendees the golden opportunity to connect and network with Asian culinary masters such as Ms Shiori Mori from Japan, Mr Dilhan C. Fernando from Sri Lanka, Grandmaster Kim Soon Do who teaches soy sauce and kimchi making from Korea, and Ms Vivian Mak who is an expert on Chinese tea from Hong Kong. 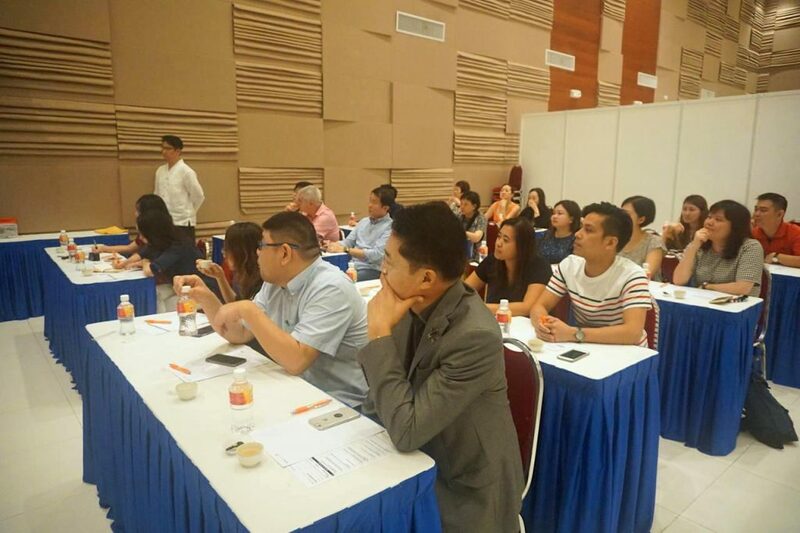 These Asian Masters are all established individuals whom you’d never cross paths with on a regular basis; so e2i’s network and masterclasses actually helps you to expand your network and open doors to new opportunities for business and career advancement, personal growth, or simply new knowledge. Here’s the key takeaway: Learning is a lifelong journey and you don’t have to seek knowledge from a formal avenue such as from books only. There are different ways in which you can gain knowledge and experience, and at any point of your life – be it if you are a fresh grad, a foodpreneur, a mid-career switcher, or a retiree. With new food establishments popping up left and right in Singapore, food easily becomes a “passion” for us Singaporeans and it’s no surprise that most of us want to make it into a career. After all, the F&B sector is indeed very lucrative so it actually makes for a good career choice – but you need to be equipped with the relevant know-how to remain relevant and competitive in this cut-throat industry. If you are unsure on how to navigate and thrive in the working world, e2i is the perfect avenue that can assist you. Besides companies, e2i helps individuals seek skills and solutions for growth. Since 2008, e2i has assisted more than 500,000 individuals through their career guidance, professional development and job matching services. You can stand to benefit from e2i’s services for jobs and skills. To learn more about their services, simply visit e2i’s website here. This article is written in collaboration with e2i to help trade professionals upskill and network via trade events such as curated masterclasses.